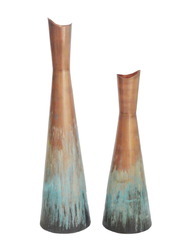 Our product range includes a wide range of metal vase, metal bottle vase, hand painted vase, hammered flower vase, embossed flower pot and traditional flower vase. 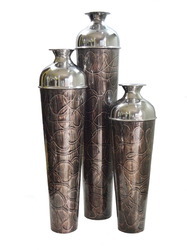 We are among the prominent manufacturers and exporters of high quality Metal Vase. Manufactured from fine grade meal, the offered vase is an open container that is commonly used to hold cut flowers. 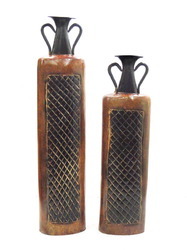 In addition to this, the offered vases are widely used for the purpose of decorating interior. To ensure high standards of quality, the offered products are manufactured using latest equipment and tools. 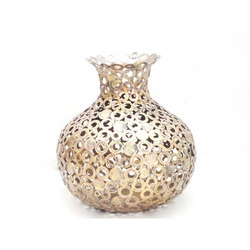 Owing to the vast experience in this field, we have been able to offer high quality Metal Bottle Vase to our prestigious customers. 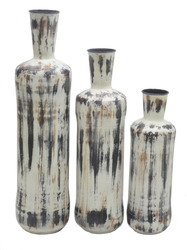 Used for keeping cut flowers, this bottle vase is widely used as decorative item in home and offices. 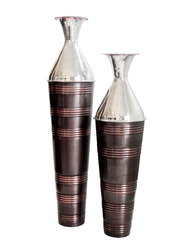 The offered vase is designed from high grade metal, which is sourced from well known vendor. Manufactured as per the prevailing market trends, the offered products are widely appreciated for their trendy look and varied designs. 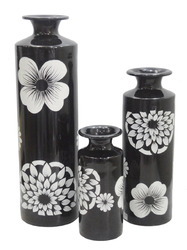 We hold specialization in offering excellent quality Hand Painted Vase to our esteemed customers. 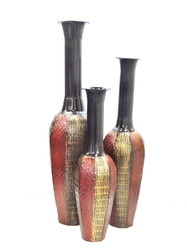 The offered vase is precisely designed from the cent percent pure metal that is obtained from trusted vendors. This vase is used for keeping flowers in various houses and offices. 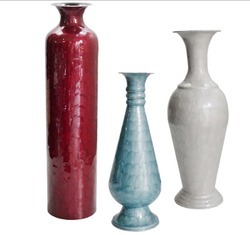 The offered vases are available in different sizes and shapes, which suit the requirements of our customers. 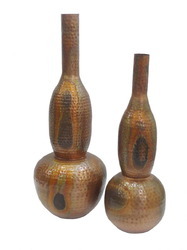 With the aid of advanced machinery, we have been able to offer high quality Hammered Flower Vase to our valuable customers. 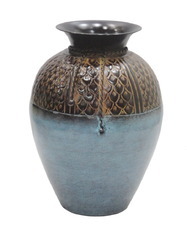 Manufactured from finest quality metal available in its grade, the offered vase is widely used for various decorating purposes. Driven by an intense desire to attain perfection, our logistic professionals assure accurate, safe, and timely delivery of this vase. 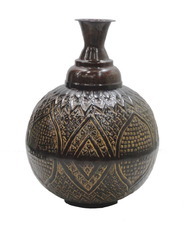 We are leading manufacturer and exporter of superior quality Embossed Flower Pot. Looking for “Metal Flower Vases”?